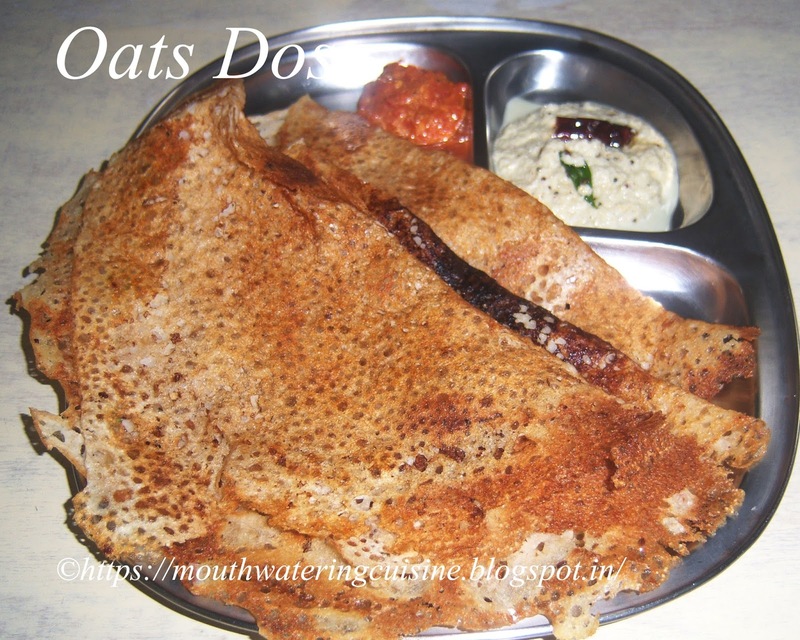 Hi, Good Morning friends and viewers, Today I will post how to make Oats Dosa recipe. 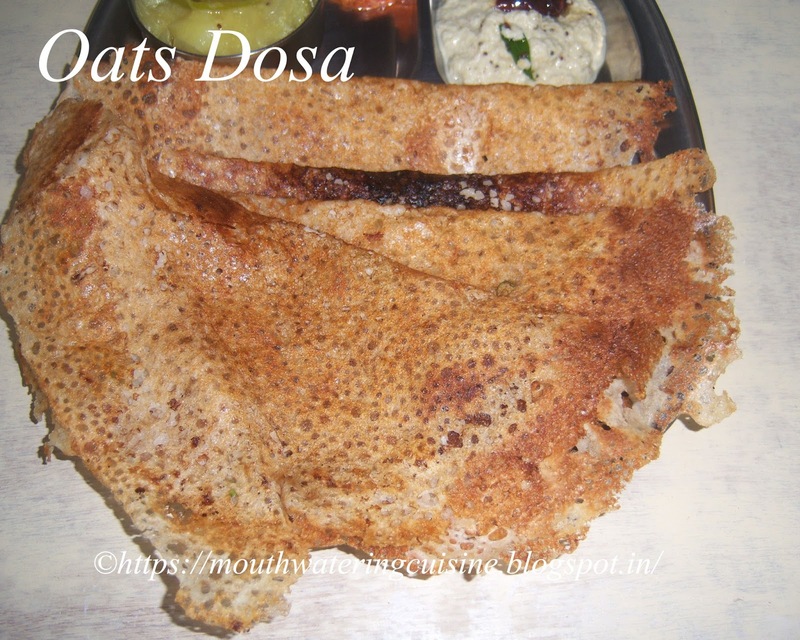 Crispy,healthy and delicious oats dosa is a perfect morning breakfast. Serve it with coconut chutney, onion curry and tomato chutney. I started using oats in my regular diet when came to know about it. But at that time I used to make only porridge with lots of fruits and honey. Later I learn different varieties of dishes with them like dosa, idli, upma with lots of vegetables and pongal. All are tasty and delicious. So now included them in my morning breakfast menu. Grind oats to smooth,fine powder. In a large bowl add oats powder, rice flour, suji, salt, chopped onion and chopped green chillies. Add curd to it and mix all of them well. Add water to make batter. The batter should be thin and runny like that of rawa dosa. Heat dosa pan, sprinkle some water and if it sizzles and evaporate immediately, the pan is ready to make dosa. Mix dosa batter well and pour with a tumbler in circular motion on the tawa. Add a spoonful of oil all over the dosa. Let it cook for two minutes. Once the edges of the dosa turn into brown, flip it slowly with the help of spatula. Cook on the other side also for two minutes. Remove and serve. Repeat the same with rest of the batter. Before making every dosa, mix the batter well with tumbler. Serve hot and cripsy oats dosa with coconut chutney, onion curry and tomato chutney.